Not exactly innocent high school students, but not quite battle-ready X-Men either, the New Mutants were more of an accidental team of superheroes. They were never supposed to go to battle, but instead attend a specialized boarding school and learn how to use their abilities so that they could walk through society unscathed. In the three decades since their introduction in Marvel Comics, however, the group has been through more fights than they can count and lost several friends (and mentors) along the way. The lineup hasn’t changed much since their 1982 debut, sticking with a core cast of characters who have also gone on to be X-Men or Avengers, or in rare cases, both. Readers will get to see some of those core characters head to the big screen next year, as Fox is currently working on a New Mutants movie. Though the cast hasn’t officially been revealed, we do have a few details about what will be involved, as the movie is set to tackle one of the most memorable arcs from comic legend Chris Claremont’s days writing for the series. Before the New Mutants join the X-Men movie universe, we’ve got the lowdown on their comic book history with 15 Things You Need To Know About New Mutants. In the '80s, editors at Marvel realized that by allowing the X-Men to age, they may have lost some of their younger readers. They wanted a new generation of eye-catching mutant characters. Chris Claremont, who had already brought the publisher plenty of success over the years, was chosen to get a new book off the ground -- even though he didn’t want to do it. Claremont and artist Bob McLeod teamed up, naming the team New Mutants as an homage to Stan Lee’s original name for the X-Men. Instead of debuting the characters in their own book (as per the initial plan), Marvel asked them to have the story ready in time for Marvel’s Graphic Novel deadline to get it on store shelves sooner. They ended up missing the deadline by two weeks, as McLeod was busy getting married and going on his honeymoon. Claremont ended up writing for the series for more than 50 issues, and he went on to set the record for longest consecutive stint on a series for his work on Uncanny X-Men for 16 years. McLeod, who left New Mutants before Claremont, is credited as the artist for the creation of 35 different Marvel characters. Like the original X-Men team, the New Mutants also originally had five members. Over the course of the graphic novel, the group slowly came together under the tutelage of Professor Xavier and scientist Moira MacTaggert. The group was intended to be more diverse than the original team, so recruits came from all over the world. Xi’an Coy Manh AKA Karma was the daughter of a Vietnamese military official. Her ability involved being able to make other people do anything she wanted, something she shared with her twin brother, Tran. She would go on to leave and rejoin the team more than any other member. 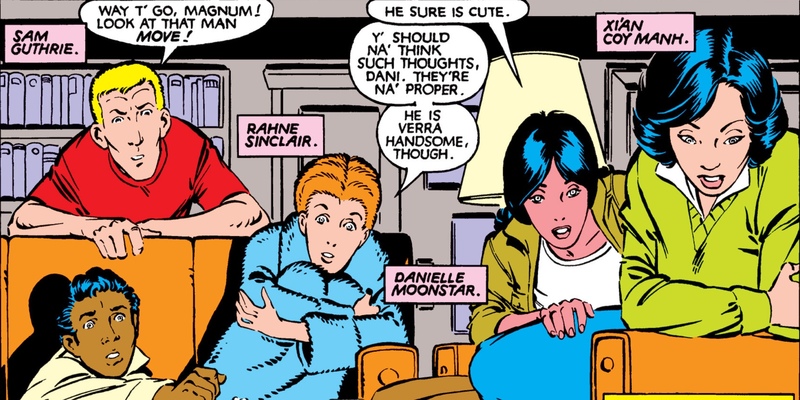 Rahne Sinclair actually knew Moira from life in Scotland before joining the team. She was able to turn herself into a wolf, earning her the name Wolfsbane, though she couldn’t speak in her wolf form unless one of her teammates could communicate with her. One of those members was Psyche, who later went by Mirage. Real name Dani Moonstar, Mirage was able to pull people’s worst fears from their minds and bring them to life. She shared a telepathic link with Wolfsbane. Sunspot and Cannonball were the team male members of the team. Sunspot AKA Roberto de Costa, was from Brazil, while Cannonball AKA Samuel Guthrie was from Kentucky. Sunspot was able to pull energy from sunlight to augment his own strength while Cannonball was able to blast energy that he could use offensively, or to power his own flight. If you know anything about the X-Men, you know how often members are killed, lost to alternate realities, or end up without any use of their abilities. By the time the '80s rolled around, Charles Xavier was starting to doubt his ability to train and keep a team of superpowered people together. Professor X had lost Thunderbird on the hero’s second mission with the X-Men. 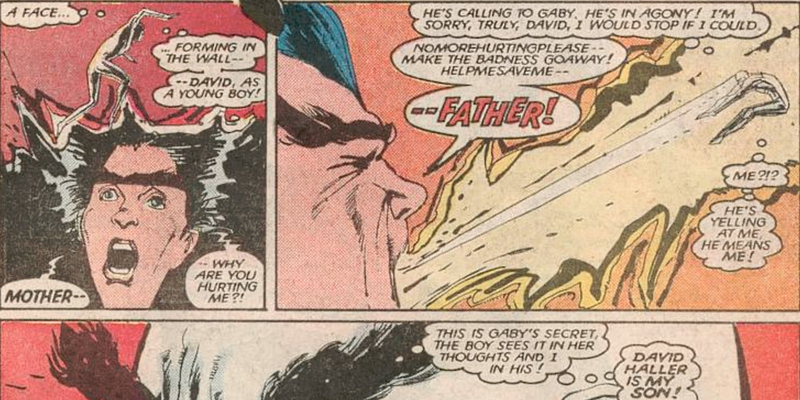 His star pupil Jean Grey had killed herself rather than continue hosting the powerful Phoenix Force. The rest of his X-Men had gone into a conflict with the alien race known as the Brood and failed to return. He believed that pretty much all of his students, and everything he’d worked so hard for, were dead. It was Moira who came to him with word that Karma was having difficulty controlling her abilities. Moira convinced him that he needed to be the one to train her, or the young woman would end up under the care of someone like Magneto or the Hellfire Club (both villains at the time, though not always). Professor X agreed on one condition: he would train young people in his school, but he wouldn’t send them out to fight. Though Professor X might have been hesitant to agree with Moira about leading a new group of mutants, there was another force that wanted him to be as close to mutants learning how to use their abilities as possible: a Brood Queen. The Brood are an alien race in Marvel Comics that are like parasitic insects. They’re able to place embryos in hosts -- many times without the host being aware -- where the new member of the Brood can grow in awareness of its surroundings until it completely takes over its host body. 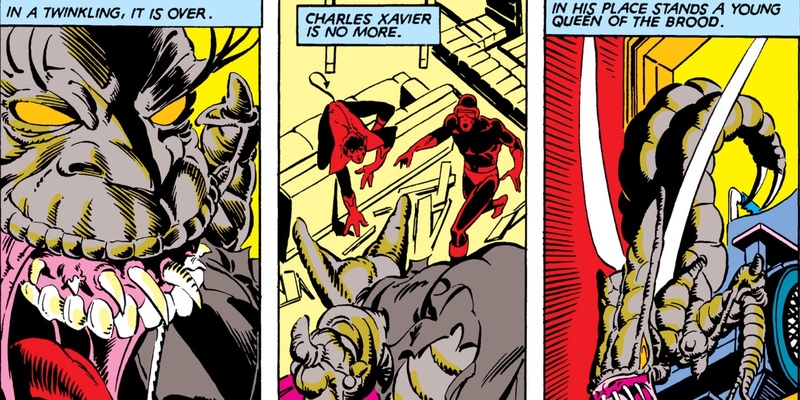 In Uncanny X-Men #137, the X-Men returned to Earth from their battle against the Brood in outer space to reveal that Professor X was the host to a young Brood Queen. The parasitic race had hoped to use him to get to more mutants, which were thought of as genetically superior hosts for their kind. The reveal was hinted at in the second issue of New Mutants as Mirage, during a Danger Room session, saw the professor as a Brood. In fact, the Brood Queen had been targeting Mirage, manipulating her fears, in hopes of getting her to quit the team, since her abilities were perceived as a threat. Since the primary reason for Marvel’s creation of the New Mutants was to recapture younger readers, the cast of characters was much younger than the team that came before them. The X-Men began their stories as teens, but by the '80s, many of them were in their twenties/thirties, with the exception of Kitty Pryde, who was one of the newest recruits. By making the team younger, the writers were able to tap into the same idea that makes young adult novels and teen TV dramas so popular: the adolescent experience. The team wasn’t just learning how to control their cool powers, but they were also dealing with their first romantic relationships, preparing to navigate the waters of adulthood, and trying to figure out who they really were. It created a blend of action and teen soap that X-Men comics had mostly moved away from. Karma is the only character who likely isn’t a teen. She’s the oldest of the New Mutants, though her age is left ambiguous. She is the legal guardian of her younger siblings, though, and she frequently leaves the team to care for themselves, making her the most mature of the group, but also the least committed to the team. 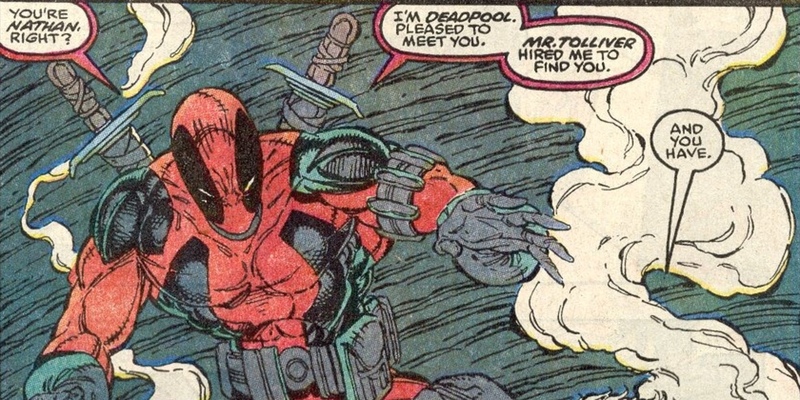 The Deadpool movie actually paid homage to this first appearance. Negasonic Teenage Warhead appears in the film wearing the early New Mutants uniform rather than the standard X-Men duds of the big screen universe. 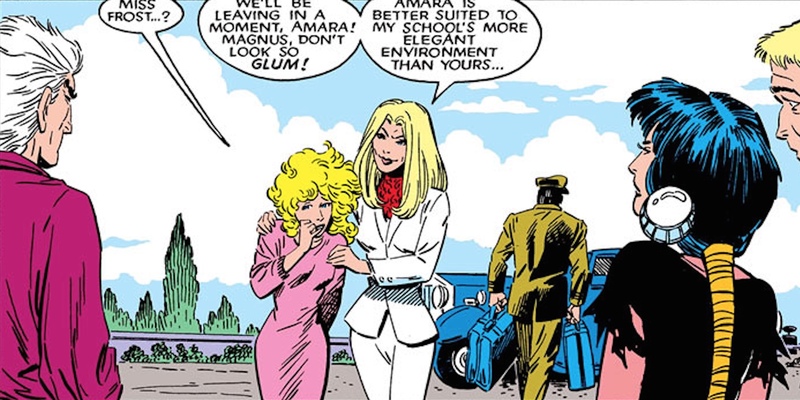 The character was a student of Emma Frost’s in the comics, but never a card-carrying member of the New Mutants. Emma Frost seems to change alliances more often than any other character, but one thing has always been true: she has a soft spot for kids. Emma grew up wanting to be a teacher, and though she primarily excelled in business deals and became a member of the Hellfire Club, she was headmistress at the Massachusetts Academy before beginning to train her Hellions, the Hellfire Club’s version of the New Mutants. She lost many of her students over the years, and actively tried to recruit the same teens Professor Xavier did. When the entire team of New Mutants were erased from existence by the Beyonder, the cosmic entity recreated them with less control over their powers than before, used them as slaves, and once he was defeated, the team had the memories of all that transpired. Emma took the chance to sway many of them, intending to turn them into Hellfire Club assets, but she actually ended up giving them therapy while enrolled at her school. She became less of a villain and more of a rival as she allowed her Hellions to compete with and befriend New Mutants. Emma went on to become the co-leader of Generation-X as well, another team of superpowered teenagers housed in a boarding school. After Magneto’s stint leading the New Mutants, the villain/occasional hero revealed that he primarily formed ties with both the X-Men and New Mutants in hopes of building a mutant army to move against humanity. He allowed the New Mutants to go their separate ways if they wanted to, and for a while, they joined up with X-Factor, traveling with them by jet instead of having a home base. Eventually, though, Cable became their new leader. The time traveling Nathan Summers is known amongst comic book readers for his convoluted backstory and his team-ups with Deadpool, but for the last 14 issues of the first New Mutants volume, he was also the leader of a group of teenagers. He treated the group like soldiers readying for war instead of a group of kids learning about growing up. He made his debut in New Mutants fighting the Mutant Liberation Front just as the team emerged from a trip to Asgard, and after several issues battling villains, he eventually returned to the Xavier Institute with the team. When New Mutants ended its first volume with issue #100, Cable began leading X-Force, and many of the team members shifted over. He made Cannonball a team leader, and Cannonball would also go on to become an X-Men, and Avenger, and lead his own team of New Mutants. Considering the comic book was specifically created to be the '80s version of a young X-Men team, and they were initially led by Charles Xavier, it’s probably not a surprise that the X-connection to the team is strong. What might be surprising is that, even though the team transitions to become X-Force by the end of 100 issues, more members of the team have actually gone on to become X-Men. 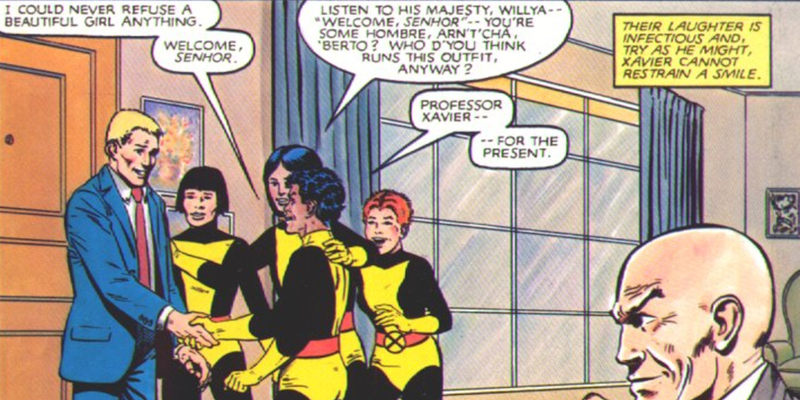 15 characters graduated from New Mutants status to X-Men, though Kitty Pryde appeared to have dual membership. (Conversely, 12 characters became members of X-Force.) 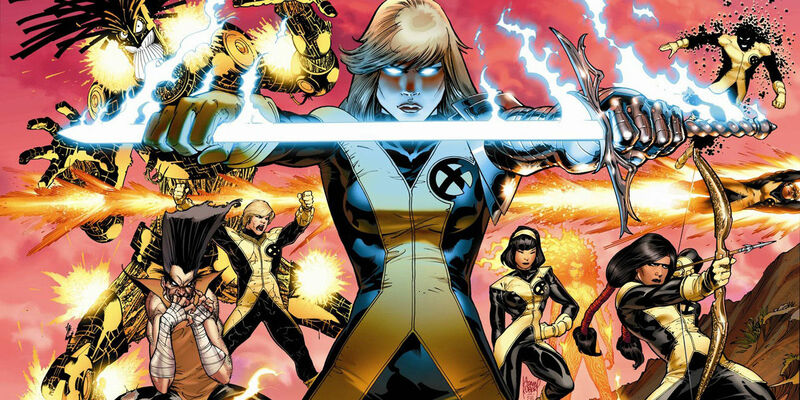 Some of the most popular characters in the franchise joined up with Marvel's main mutant squad, including Cannonball, Magik, Mirage, Blink, and Sunspot. In fact, all five of those characters have either already appeared in live-action, or will in the near future, allowing the movies to give fans a look at some of their favorites in action. Team leaders like Magneto, Cable, and Storm also had their own ties to the X-Men. The biggest surprise? 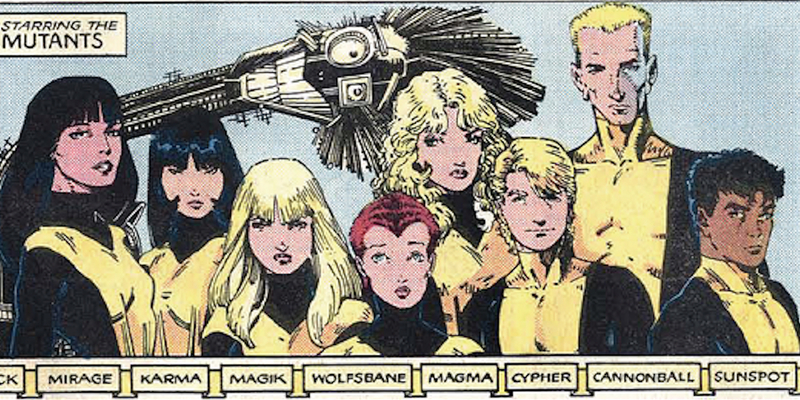 Of the 24 characters who rotated throughout the team in the three volumes of comics, one-third of them became card-carrying members of the New Mutants, X-Men, and X-Force. Those are some busy superheroes! 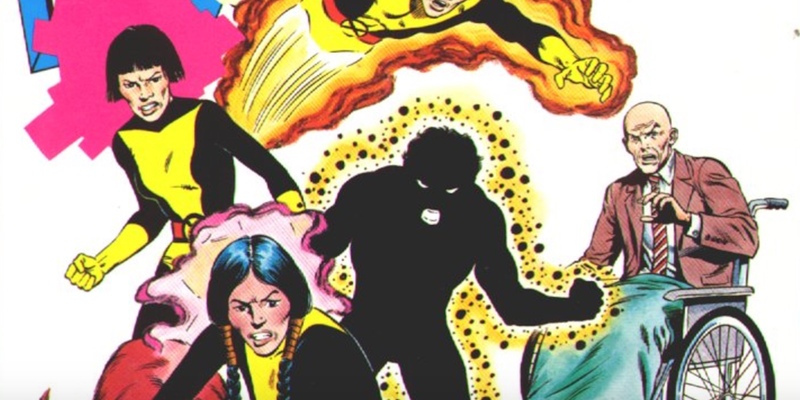 One of the founding members of the New Mutants, Dani Moonstar had her share of teams -- and code names -- over the years. Though she started her journey as Psyche, she changed her name to Mirage, and eventually even became a Valkyrie in Asgard. Upon returning to Earth, though, she worked with S.H.I.E.L.D. to infiltrate the Mutant Liberation Front, joined X-Force, and taught at the Xavier Institute. As more and more students joined the Xavier Institute under the care of Emma Frost and Cyclops, it became apparent to the duo that they couldn’t teach them all at once. 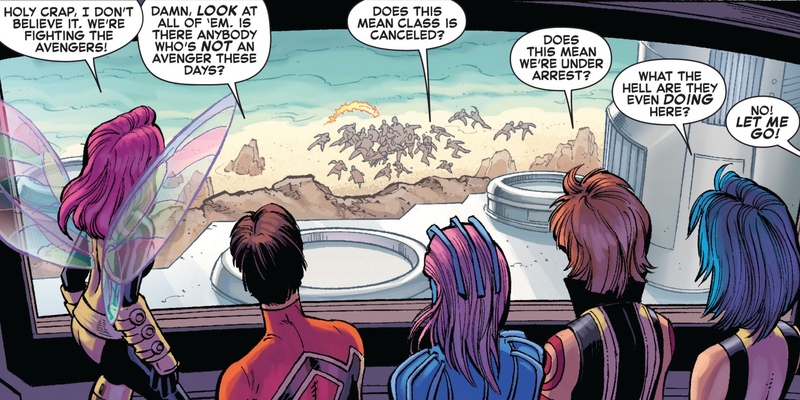 Instead, they broke the student body (which was over 120 mutant teens in number) into “squads” that allowed them to be trained for a future with the X-Men. Dani Moonstar was chosen to lead one of those squads, which created their own uniforms, came up with a team name, and lived and trained together. 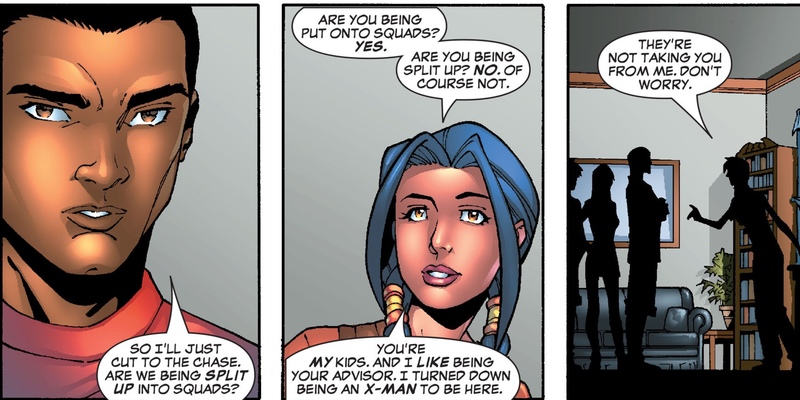 Her squad became the New Mutants Squad after her first team moved on. Former New Mutants Shadowcat, Karma, Magma, and Wolfsbane were advisors of other training squads as well. Cyclops and Wolverine have never been able to get along for more than a few comic book pages at a time. The duo have different personalities, different leadership styles, and have always fallen for the same woman -- whether they’re in a comic book or on the big screen. The tension that simmered between them ever since they were first introduced to one another came to a head in the X-Men: Schism event series in 2011. The core of the problem between the two is that neither of them backs down, but in this particular event series, Wolverine took issue with Cyclops allowing kids to fight the X-Men’s battles. While Logan didn’t want to involve students who were still learning how to use their abilities, Cyclops encouraged them to fight, fought alongside them, and didn’t have a problem with them killing anyone. It eventually led to the two of them arguing on and off the battlefield, distracting them from the fight, and leaving the students to do most of the work. Wolverine eventually left to start his own school, allowing anyone who wanted to leave to come with him. 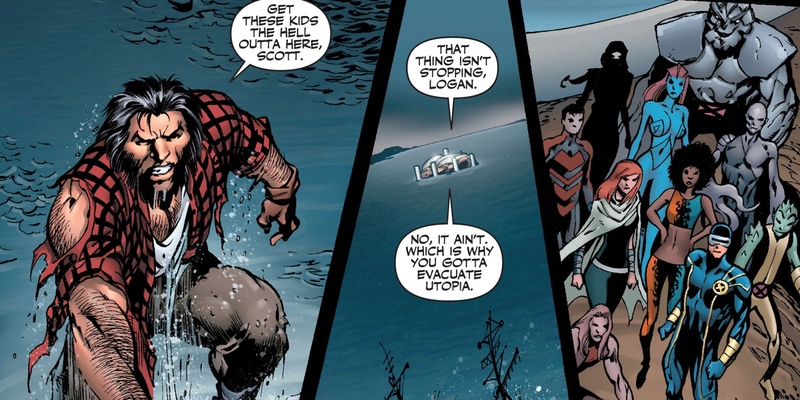 The kids that were part of the New Mutants chose to stay in Utopia and learn from Cyclops, the man who had allowed them to fight, where they would train to be X-Men. Even comic book fans who weren’t familiar with David Haller before know his name thanks to the new live-action series Legion on FX. David, like many famous Marvel characters getting the live-action treatment recently, made his first comic book appearance in a New Mutants book. The son of Charles Xavier, David had psionic abilities that allowed him to absorb the personalities of others. It began at a young age when he didn’t understand what was happening, leading his mother to place him in the care of Moira MacTaggert, since the scientist had nearly as much experience as Professor X in caring for mutants. Eventually, she called on Professor X and the New Mutants for help, though, which is when the cat was let out of the bag that Charles Xavier had a child. When the group arrived, David absorbed the consciousness of several of the members of the team, and since the personalities all remained independent in his brain, a battle occurred inside his own mind. Many battles with David, and the personalities that would take over his actions, would follow. It wouldn’t be a comic book if heroes didn’t take on other heroes at some point, now would it? The New Mutants accidentally went up against the X-Men a few times in the past thanks to misunderstandings, and they regularly competed against the Hellions, but in the X-Men vs Avengers event, they found themselves caught in the middle. With the group of youngsters used to teaming up with the X-Men, and knowing they could trust them, the New Mutants initially sided with their fellow X-gene carrying heroes when the group came into conflict with the Avengers. Over the course of the story, however, five of the heroes were taken over by the power of the Phoenix Force, which had been splintered. Cyclops, Colossus, Magik, Namor, and Emma Frost all held part of the force inside them, until Cyclops managed to contain it all (and kill Professor Xavier with it...whoops). The New Mutants, X-Men, and Avengers all had to team up to battle him, but the event led to the dissolution of the team altogether. Many members went their separate ways: Cannonball and Sunspot joined the Avengers, Cypher and Warlock joined X-Factor, and Dani Moonstar was no longer Mirage, but a member of the female Defenders, the Valkyrior. Josh Boone, the man behind the cinematic success of The Fault In Our Stars, has been chosen by Fox to bring the New Mutants to the big screen for the first time. When pitching the story, he conceived it as a trilogy, so you can bet we’ll be seeing more of them after their first installment if all goes according to plan. Instead of featuring the original five from the comics, the big-screen incarnation will focus more on the fan favorites. Boone shared images from the comics on his Instagram way back in the development process, hinting at just which characters made the lineup. Original New Mutants Mirage, Wolfsbane, Cannonball, and Sunspot are there (Sorry, Karma! ), and Magik looks primed to secure the fifth slot. 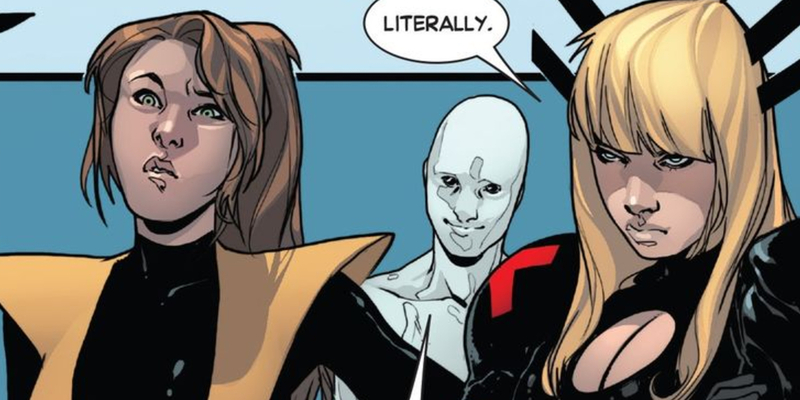 Magik, the younger sister of X-Men member Colossus and best friend to Kitty Pryde, was essentially the star of the comic book series once her strange story was added to the mix, so her addition is no surprise. The rumored sixth slot, however, is a somewhat unconventional choice in Warlock. Warlock is a shape-shifting alien who once acted as the team’s spaceship, so adding him to the story means the movie universe might just be opening their stories up for more celestial beings, just like Marvel Studios has with Guardians of the Galaxy and Thanos. As of now, we know the identity of at least one of the antagonists in the upcoming movie. Demon Bear, if you’re not familiar with him, is almost exactly what he sounds like: an evil bear. Demon Bear has only appeared in about a dozen comic books over the history of the New Mutants, and who first created him has never been revealed, which means there very well could be another villain in play. 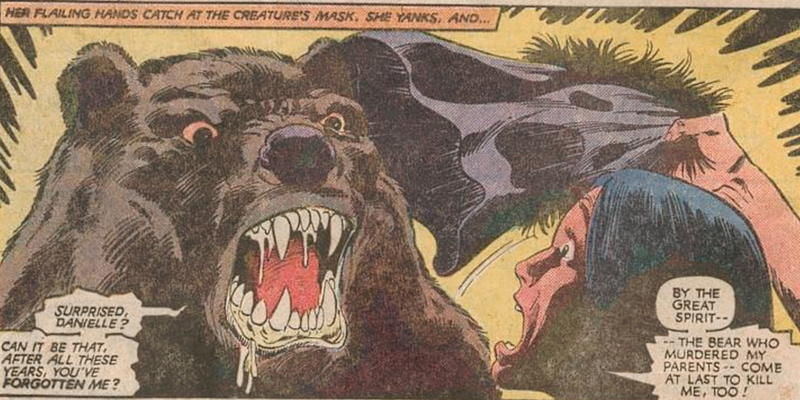 In the comics, it’s Dani Moonstar who is plagued by dreams of the Demon Bear that killed her parents. In her dreams, it tells her that it’s coming for her next. While there is some speculation that it could be her own powers of bringing people’s fears to life that causes the nightmares, that’s not the case. After a confrontation that leaves her in the hospital, her teammates have to take on the bear, using Magik’s soulsword to split it in half, revealing that Dani’s parents were trapped inside it. The idea is that Demon Bear thrives on fear and negative emotions. It can corrupt people’s souls, teleport, and has super strength. It will certainly be interesting to see how the movie tackles one of the strangest comic book foes around. We hope you’re sufficiently prepared as filming gets ready to start on the upcoming movie adaptation. Did you learn something new about the New Mutants? Sound off in the comments with any further history lessons that fans should know about the young X-team. The New Mutants are currently disbanded in the comics, but you can catch them in action when the movie lands in theaters sometime next year.